Plumber Loveland: What The Heck is Clogging My Drain? What The Heck is Clogging My Drain? We’ve all been there—you have a drain that’s just not draining, and water continues to pile up. You’re obviously going to call your plumber in Loveland to fix the problem, but a single question still remains: What the heck is clogging up my drain? In this blog, Ace Hi Plumbing will take a look at the usual suspects of clogged drains. Make yourself aware of these clog-prone items so you can take action to avoid clogs in the future! The average person sheds anywhere from 50 to 100 strands of head hair per day—and while a few of these hairs will end up in your laundry hamper, on your floor, and stuck to your jackets, most of them will end up hanging out deep in your shower drain. Hair is, by far, the most common culprit of clogged shower drains, especially in households with long-haired residents. Hair also binds with grease and other sticky substances in soaps and shampoos (more on this later), creating intricate and solid blockages that can ravage your plumbing system. While rooting out this sort of clog is a job for the professionals, there’s an easy trick you can use to prevent hair clogs in the future: just go to your local hardware store and pick up a drain guard that’s built to catch hair, and clean it every so often to make sure things are flowing smoothly. How can the soap that turns to water in your hand can actually clog your drain? It’s all because of fat. The large majority of traditional soap bars use fat or grease as a base—and when that grease ends up in your pipes, it solidifies, creating a thick, sticky layer in your pipe. Rinse and repeat that process a few thousand times over the course of a year, and all that soap scum can cause a partial or complete blockage of your drain. To avoid this plumbing predicament, switch to some sort of soap-free wash in your shower to prevent soap scum buildup, or have your pipes professionally cleaned so your pipes always work perfectly. Not all of us are bankers, businessmen, or bloggers—some of us get down and dirty in the workplace, getting ourselves covered in mud and gunk on a daily basis. While these folks certainly love a good shower after a long workday, all of the dirt and debris that builds up on your skin can actually clog your drain over time. Be sure to shake off excess dirt from your person before you hop in the shower (or before you enter the house, for that matter) to keep your drains from stacking up dirt and experiencing backups. 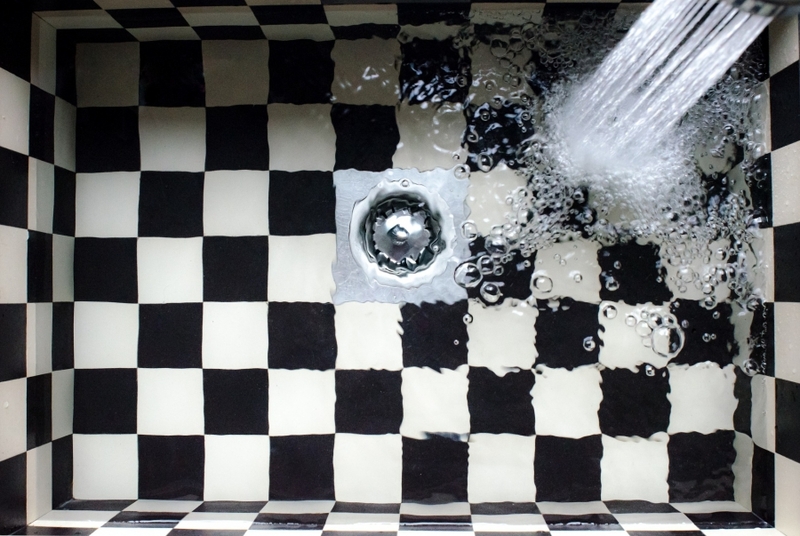 Let’s move on from shower drains to kitchen sink drains, another clog-prone area in your home. Even with a garbage disposal, your kitchen sink drain can only handle so much—and after months of coffee grounds, pasta scraps, stray black beans, and other food waste running through your drain, something is probably going to get clogged up. Food waste isn’t really supposed to go down the drain, even with a garbage disposal. Opt for a home composting system whenever you can (and use that compost to grow some beautiful stuff in your garden), and avoid throwing things that don’t break down or are particularly sticky into your drain. Finally, bacon grease and other oils should never (NEVER) go in your drain—dump them in a spare jar to dispose of later, or throw them straight in the trash. That’s it for Part 1 of our series on the most common drain-clogging substances. Stay tuned for Part 2, and check out our other blogs in the meantime!